I am new to the team and I’ve been here for a couple months now. The welcoming environment, people and positive energy. Everyone just has a great attitude. 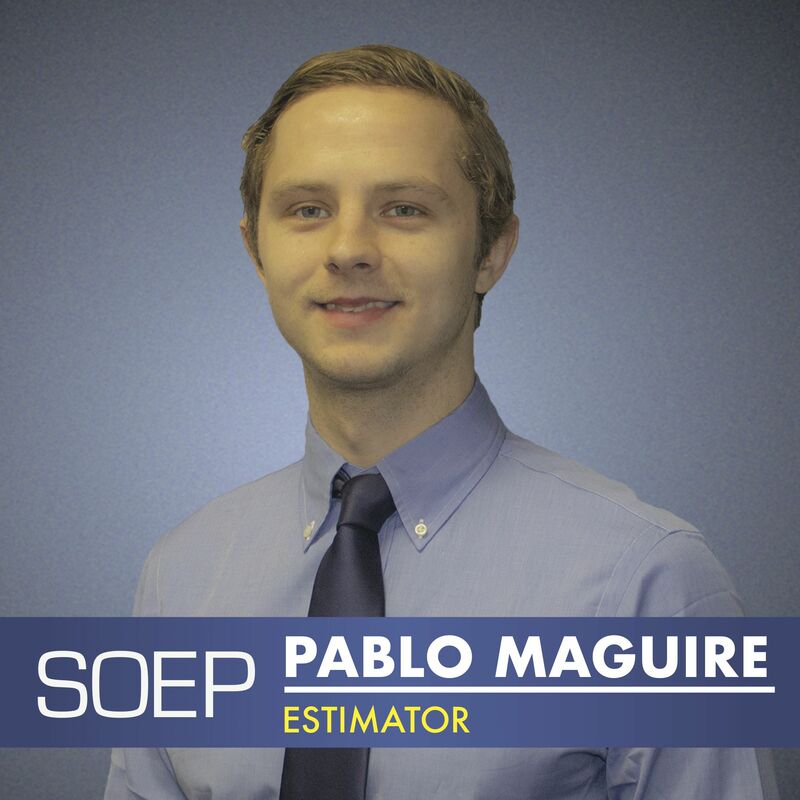 Estimators analyze production processes to determine how much time, money, and labor a project needs. If you can capture all these things in an estimate, the company has a greater chance of being successful. In my short time frame here I’d have to say it was my first estimate, the Pilgrim Street Garage located in downtown Boston. It was great to get the first one under my belt and develop that confidence to keep moving forward. Winning a bid and watching the team deliver the project efficiently and successfully. I take a lot of pride in the company putting their trust in my ability. At Soep it's all about being a Team Player. Everyone has their own duties, but we all work together to create the perfect finished product. Riding bikes, working out or just fixing things in general. I love being physical and working with my hands.